An information in the forum said that a visit to Angkor for the first time is just overview is definitely true, and a statement that the ruins at Angkor is the largest in Southeast Asia, it seems underestimated. Angkor World Heritage Site is truly World Class. The concept of religion combines creative excellence which is the elegance of the architecture with extensive coverage. We hardly finish all of these Angkor archaeological sites within 3 days or 7 days. However, its great charm is not about the number, it is a mystery that no one could answers the questions. 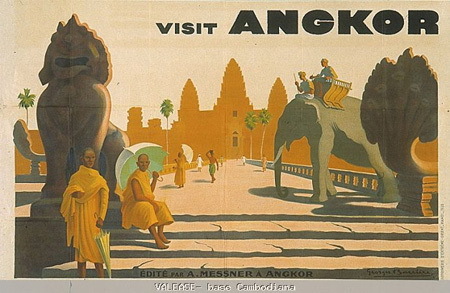 I devoted time to the Ancient Angkor by visiting the following. I missed some of the historical sites of interest in this trip.